Preheat oven to 200°C. Place the sausage meat, caramelised onion, tomato paste, salt and pepper in a bowl and mix well to combine. 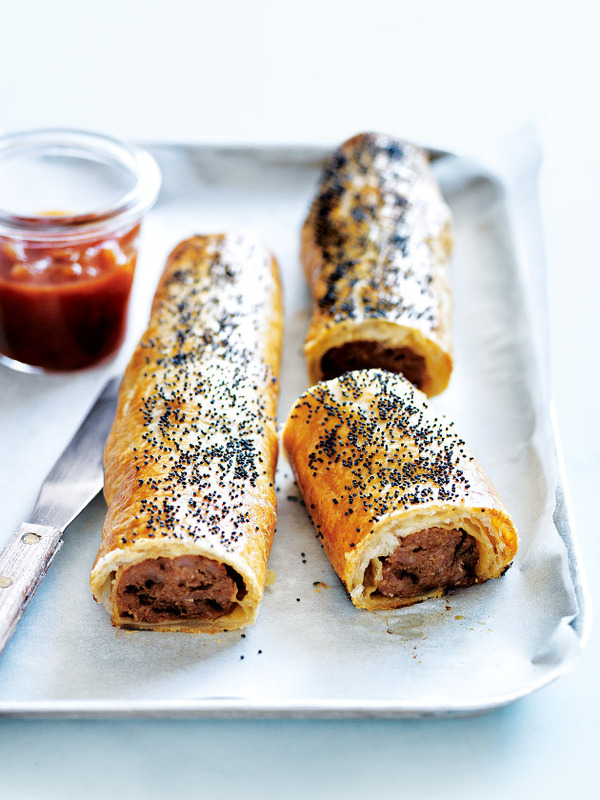 Divide the sausage mixture into 4 even portions and roll into sausage shapes. Place down the centre of each pastry half and brush the edges with egg. Roll to enclose, ensuring the seam is underneath, and place on lightly greased oven trays lined with non-stick baking paper. Brush with egg and sprinkle with the poppy seeds. Cook for 25 minutes or until golden and cooked through. Serve with the relish. Serves 4.